The Zone of Proximal Development is an important concept for teachers to understand. It was first put forward by Vygotsky and basically it is the difference between what the learner can do by himself and what he can do with help. This is the area that teachers, parents, tutors, siblings and others work in when they help someone to learn. You may have seen this when you help children to learn or even yourself when you're learning something. You don't know what you don't know so you will keep doing things the way you have been doing it; until someone helps you to do it better. Similarly, if left by themselves, children will only do what they know. They won't be able to go beyond this point so to get them onto the next level they need help. This is where you, the teacher or parent, comes in. 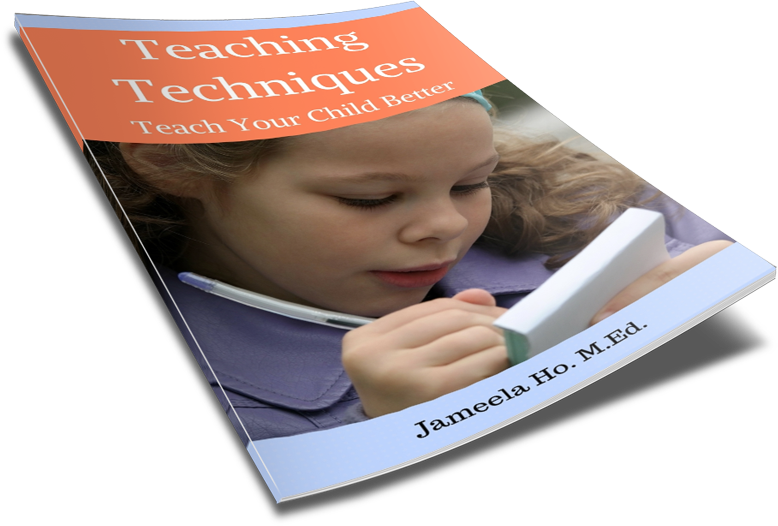 You quickly assess what the children can do and you plan lessons and learning activities that build on what they know. In my education centre, I always get new students and it is often hard to know where and what to teach them until I know what they can and cannot do. To help each student improve and reach a higher level I need to quickly assess each one as they come in. Without doing this, children will not have a solid foundation on which to move onto the next level. If children come to my education centre and I give them all the same work no matter where they're at, some will be lost because they have not understood the concept yet while others will be bored because they already know it. In this instant, I wouldn't be building on what they know, I'll be just giving them the same work they already can do. The key is to use what they already know and teach them the next step up that they don't yet know. In the diagram above, 'what the learner can do' is the solid foundation upon which all other learning depends. If you teach children something they already know then you are not teaching them in the ZPD but you are reteaching them something they can already do. This is very demotivating and they quickly become bored or disruptive. But, when you use this as a foundation to inform your teaching, you take them into the ZPD. If you start teaching children above the ZPD, at what they cannot yet do, they become confused and demotivated as well as disruptive. You are teaching at too high a level. In this case, you'd need to back up a few steps until you find what they can do and start teaching the next step from there. I'd like to give the example of learning to read. Many of the younger children come to the tuition centre not reading properly. Even though they may be the same age but the reading continuum is so wide that I cannot teach them all at the same level. There are children who haven't learnt the sounds to each letter and yet the school where they attend teaches them to blend the sounds. Can you see how not knowing the sounds makes it impossible to blend the sounds together? There are children who know the individual sounds but don't know how to blend, yet they are being taught sight words to memorise. Learning sight words is fine but when children don't have blending sounds as a foundation to reading they can only read the few words that they have memorised and when they encounter words that they don't recognise, instead of trying to blend and apply knowledge of word patterns, they will guess the word incorrectly. In these instances, I back up to what they can do and teach them the next step. With your own children, ask yourself what you know they can do or conduct a quick assessment. Then find out what the next step on that learning continuum is that they cannot yet do. This is their ZPD. 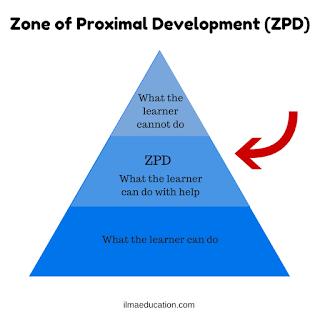 Once you have found their ZPD, plan the lessons that will guide them through this level until they have mastered it before moving onto the next step on the learning continuum. Make sure to have as much hands on activities as possible and ask questions that generate thinking. When you guide children you also provide them with a 'scaffold'. This is another concept introduced by Bruner. You give children all the support at the beginning when they need your help the most. Gradually you decrease your help or involvement as they become more confident and able until they can do it all by themselves. When this happens, the children are leaving their ZPD. Their ZPD has now become their 'what they can do'. This is when they are ready for the next step in learning. They are ready for you to take them into their new ZPD.